Regardless of what IT solutions you deploy in your business, the subject of upgrading will eventually have to be addressed. Some technologies, such as laptops or collaboration equipment, might be easier to replace with the latest models. But other equipment, especially crucial infrastructure such as data centres, requires more thought and careful planning. Perhaps the biggest decision businesses have to make concerning their new or upgraded data centre is whether to host it on premises or in the cloud. Cloud technology has played a major role in the transformation of data centres in recent years, with many operations embracing its many advantages: rapid elasticity and scalability (a key factor in future growth), reduced physical footprint, virtually unlimited capabilities and self-service, and the possibility for significantly lower operating costs. However, moving to the cloud does raise more questions. Do you choose a private cloud solution, that’s dedicated specifically to your needs and goals? Or do you go with a third-party, public cloud solution that may offer more scalability and self-service, but is not proprietary? And then there are the businesses that forego the cloud altogether and are attracted by the advantages of on-premise data centres. For example, they find it easier to monitor the flow of sensitive data on-site rather than in the cloud, while others have difficulty moving away from an infrastructure that is stable and familiar. It can be a difficult decision to make as each solution brings with it a number of advantages. Making the right choice is also compounded by the fact you need to consider future business needs. The ability to scale as needed and adopt new technologies quickly and affordably are vital to business growth. It is not surprising, therefore, that a growing number of organizations are adopting a hybrid cloud environment which uses a mix of on-premises, public and private cloud services. Businesses can maintain infrastructure on premises for select workloads and migrate others to the cloud, for greater flexibility and more data deployment options. A hybrid solution also helps to simplify the management of a mixed environment and can be indispensable when executing certain processes such as data centre automation, which remains a large part of a company’s digital transformation strategy. Automating data centre functions can provide a number of business advantages, including more effective staff workload distribution, reduced costs and improved security management. Driven by the growing amounts of Big Data, it’s becoming a necessity for businesses to automate certain data centre operations and processes – such as scheduling, maintenance and monitoring – that are too time-consuming and complex for human operators. Data centre automation, however, can be a complex process and if not handled correctly, a costly one littered with expensive mistakes. The flexibility and scalability of a hybrid cloud environment – and its ability to leverage a number of different resources – lends itself to a more effective and measured rollout of automation. Upgrading and modernizing your data centre is a must if you want to grow your operation. Though there are a number of options for your business, a hybrid cloud solution may provide you with the best options to meet your needs, both in the present and the future. 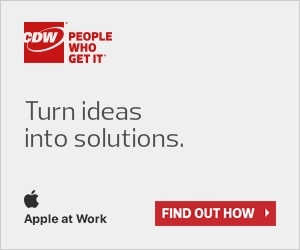 CDW Canada’s experienced solution architects and technology specialists help you get the most out of your investments by providing full lifecycle support and services. They work with customers to address each businesses’ unique IT needs and help predict how those needs will evolve. Learn more about our data centre solutions.